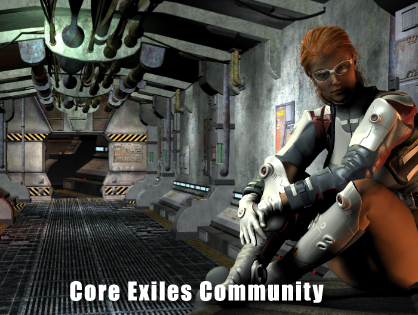 The Dev’s and Staff of Core-Exiles work hard on its community. Unlike many browser-based games that are all about the numbers and very little about listening, we like to promote a warm and friendly environment for discussion. Many of the in game professions and spin off’s came originally from suggestions. So if you have an idea or would like to contribute please use our community Forums.